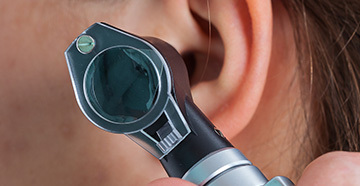 Camarillo Audiologist | Hearing Clinic | Second Chance Hearing, Inc.
Second Chance Hearing, Inc. exists today because we want to give hearing-impaired patients treatments to improve their quality of life. Our team of professionals are skilled and determined to provide the highest quality service while giving patients the tools they need to improve their hearing. We proudly serve folks from the entire Camarillo area. An audiologist from our office may be the answer to your hearing questions. You can expect to receive the most contemporary and innovative treatments with our state-of-the-art technologies and amazing facility. Second Chance Hearing, Inc. is always accepting new patients from Camarillo. 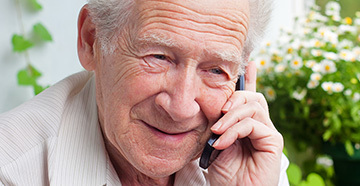 Communication is such an important factor in human relationships, and we understand the need to keep you connected with people all around you on a daily basis. We know that it can have a negative impact when you are unable to communicate with people effectively. We find it very rewarding when we are able to improve our patients’ hearing, while improving their lives through our treatments. With Second Chance Hearing, Inc.’s convenient location in Westlake Village, we are able to provide for a variety of services to patients from Camarillo and all of Ventura County. Each patient receives a personalized diagnostic test so that an assessment can be done on the patient’s hearing. This helps our team of professionals issue hearing aids at our office if that is what the patient needs. During your appointment, you can expect to be placed in a sound booth that will initiate our assessment of your capacity to understand different elements of speech as well as your level of hearing abilities. We may feel as though we should conduct other tests depending on your specific situation. These tests will allow us to further treat you to the fullest potential. The initial consultation is the most vital appointment because from there, our doctors can identify what treatment will work best for each patient. Following the consultation, patients will be able to schedule all important follow-ups that works around their personal schedules. Our appointment scheduling is based completely around the consideration of our patients’ lives and their needs for flexibility. We can offer different time slots that meet the needs of any patient. Finding a hearing doctor is very simple and quick. We also ensure our patients that they will be working with the same doctor throughout their treatment so that a positive relationship can be formed. Our knowledgeable and friendly staff is available to schedule you for initial consultations or follow-ups in a timely manner. Our goal is to make sure that we provide all necessary treatments and therapy advisement, if it pertains to you. 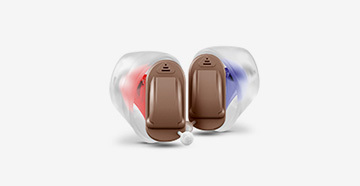 We want to do more than just provide you with hearing aids. We want to give you an extensive evaluation so that we can ensure you receive the best treatment. Our office also offers counseling so that way we can advise and coach our patients throughout their entire treatment. We were given our senses to be able to appreciate and experience the things around us. When we are limited in one or more of those senses, it can greatly impact the way that we live and the way that we see things each day. The audiologists and staff at Second Chance Hearing, Inc. know how important it is to find a solution that is purposeful and can completely improve your quality of life. Call us today so we can assist with opening up your ears and listening to all the beautiful sounds you deserve to hear. Let us help you get your second chance at life. We are proud to be able to serve our community in the Camarillo area.